Trigger the pride and dare to stretch over competition by gifting these customized black 43” arc auto open/close logo umbrellas. These are made to last and to tide over sun, rain, and other harsh nature elements with ease. 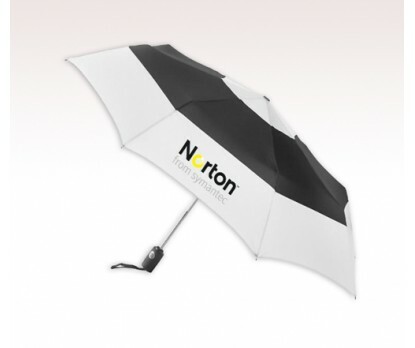 You can get these umbrellas imprinted with logo and business slogan prior to gifting. These umbrellas grab attention with their appealing design and are good enough to steal glances from people from distance. 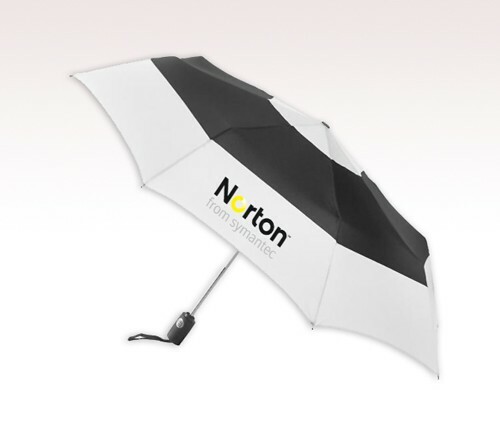 Attractive price savings can be availed on bulk orders of these logo umbrellas. Request a quote to know bulk order savings for these custom black 43” arc auto open/close logo umbrellas.